Alan Kologrivov was kind enough to send a bunch of his irreplaceable NYSMC photos from 1979 for me to scan. I am happy to present them! You may see them on our NYSMC Facebook page in a dedicated album. Here’s a little sample — enjoy, and thank you again Alan! Your photos will be safely returned before the NYSMC Reunion on July 11, 2015, I promise! 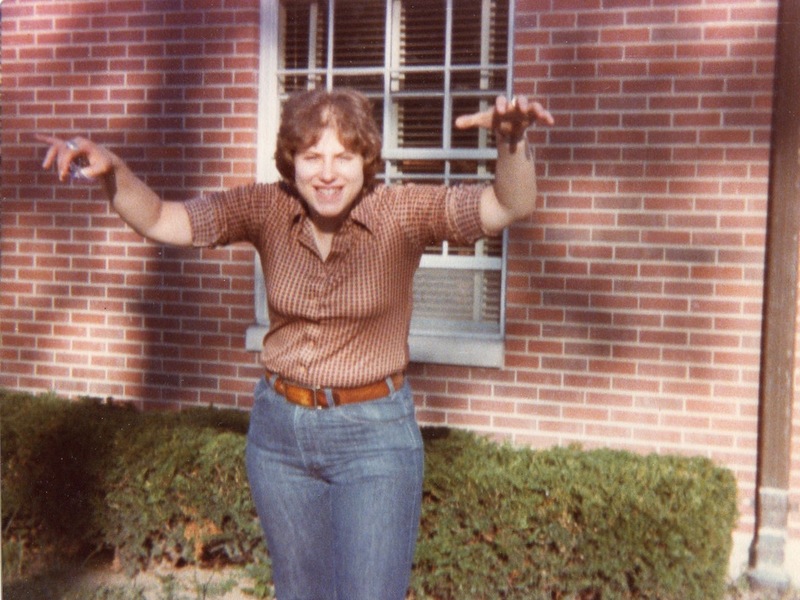 Which 1979 NYSMCer in front of Smith Hall is this? Comment below to identify her! 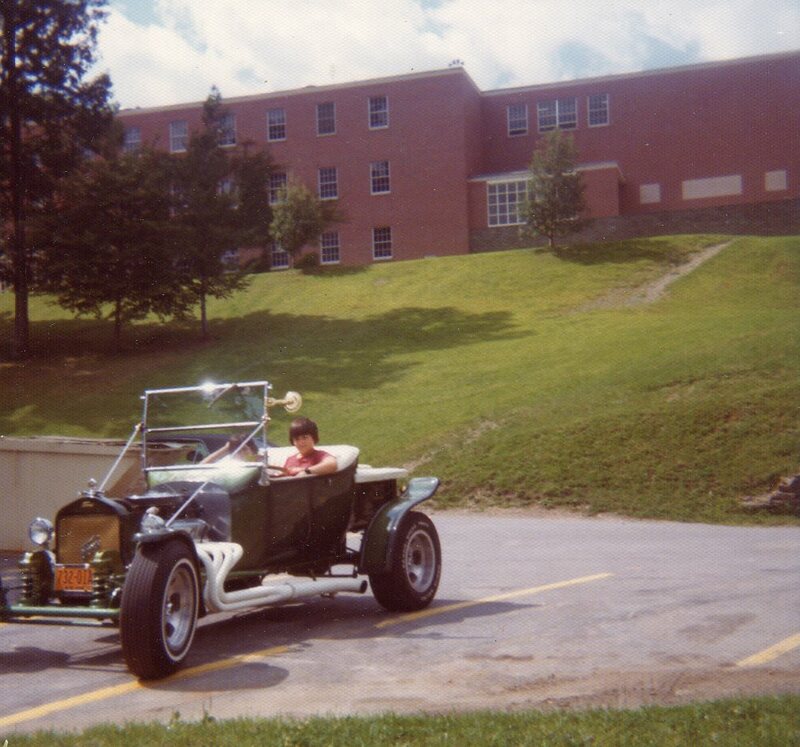 Had no idea Oneonta still had any jalopies in 1979. Who’s driving? Yup, that’s David Dik in his best Leisure Suit Larry outfit. 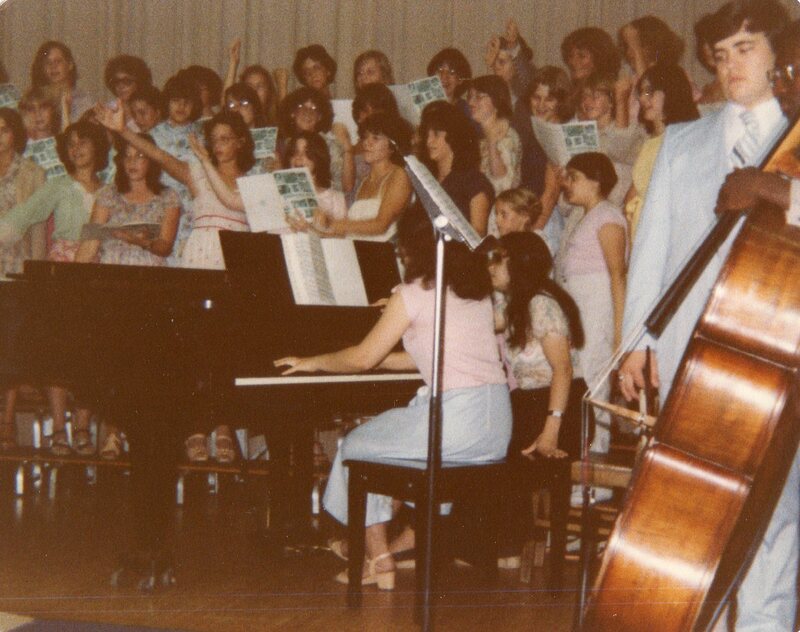 And Kenny Jernigan rockin’ the upright, as ever, for what appears to be the 1979 Girls Choir. Oh yes, that’s my big sister Alison Shaiman!